If you’re a victim of redundancy, you will often be thrown into a financial predicament. Claiming all the help you can get from the government will be essential to keeping as much of your life together as possible. In this regard, Housing Benefit can be a crucial helping hand. Housing Benefit, very simply, is help with paying your rent. If you pay a mortgage instead, it does not apply to you. When you live in council housing, the benefit will be paid directly to your local council. Otherwise, it can be paid to you as a cheque or into your bank account. In some cases, it may be possible to pay it directly to your private sector landlord. If you rent in the private sector, the form of Housing Benefit you receive is called Local Housing Allowance (LHA). You will usually be given a Housing Benefit claim form whenever you apply for any other benefit such as Jobseeker’s Allowance. If you don’t claim any other benefit, you can get a Housing Benefit application form from the offices of your local council or download it from the Department of Work and Pensions (DWP) website. Anyone who pays rent on a low income may be entitled to housing benefit. It does not matter whether you rent from a public or private sector landlord. There are some exclusions, however. If you live with close relatives and pay them rent, you may not be eligible. Single people under the age of 25 cannot usually get Housing Benefit for anything other than a bedsit or a room in a shared flat. If you live with a partner (meaning that you are married or live together as if you were married) only one of you will be able to claim Housing Benefit. In theory, there is no limit to how much Housing Benefit you can get. The maximum amount is equal to the rent you pay. What proportion of your rent will be paid by the government is based on an assessment of your circumstances, primarily your salary and the salary of those living with you, if any. Your savings are also taken into account. 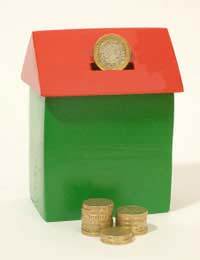 Having savings above an upper limit – currently £16,000 – will usually mean that you won’t get any Housing Benefit. Be warned, though, that in determining housing benefit eligibility, the government will make a judgement about whether your accommodation is appropriate for your needs. For example, if you live alone in a very large house with 5 bedrooms, the government may ask you why or even just reject your application outright. The rent you pay for your home is also compared to the rent paid for other comparable homes in the same area. For those renting in the private sector, the amount received is based on the average amount received by people living in similar personal circumstances in the same area. If your rent is higher than the average, you will have to make up the difference yourself or find somewhere else to live. If your rent is lower than the average, you can actually keep some of the excess, up to a maximum of £15 per week. Area rent evaluations are performed by The Rent Service in England, Rent Officers in Wales and the Rent Registration Service in Scotland. You can see the average rental amounts in your area on the Rent Service website. If you rent your accommodation, Housing Benefit is one of the vital support mechanisms that should help see you through the difficult times following a redundancy. Myusband has recently been made redundant from his main job.He is also self employed with average profit of around £6000.00.My current yearly earnings amount to 13000 before tax and insurance.We have a 13 year old son and a daughter at university.Are we entitled to claim tax credits ? I am going to be made redundant end June although it is not official yet. Currently I work part time 16 hours per week. I have been working for the company for 24 yrs but 18 of those years were in full time employment. Redundancy is capped at 20 yrs according to staff talking. How do I work out what redundancy package I would receive please? You can’t get less than the statutory amount but you may get more if your employer has a redundancy scheme. Redundancy pay up to £30,000 is tax-free. Your employer should discuss your redundancy package with you directly. To calculate statutory redundancy pay, please see the link here . I am going to be made redundant end June although it is not official yet.Currently I work part time 16 hours per week.I have been working for the company for 24 yrs but 18 of those years were in full time employment.Redundancy is capped at 20 yrs according to staff talking.How do I work out what redundancy package I would receive please? My future son in law is on £23000 and pays child maintenance for his daughter. I have jus finished work, 4 more weeks until I have my baby. I’m unemployed and we live in private rented accommodation. I can apply for maturnity allowance. Are there any other allowances/benefits that we would be entitled too? Many thanks. Please see the Turn2Us link here which should help you further. My future son in law is on £23000 and pays child maintenance for his daughter. I have jus finished work, 4 more weeks until I have my baby. I’m unemployed and we live in private rented accommodation.I can apply for maturnity allowance. Are there any other allowances/benefits that we would be entitled too? Many thanks. I am considering taking voluntary redundancy. My package would be quite generous (around 27k). I have thought of a business with my partner that I would invest the money in, as well as paying off my debts. Would I be receiving housing benefits or any benefits in a case l'aime this? Thank you for your response. With £27K it is unlikely you would receive housing benefit or any benefits as you exceed the capital/savings amount. If you pay off your debts and then try to claim benefits, then this is seen as a deprivation of capital, please see link here. If I get redundancy of £12,000 and my partner works 25 hours a week earning £10,000 a year would I get Housing Benefit or would I have to use the redundancy money first. The reason I'm asking this is I wanted to clear other creditors with the money I will receive. Please see Turn2Us link here to see whether your benefits will be affected. You have to be careful when paying off debts as it might be considered a deprivation of capital. If you dispose of all the capital this way, you may be refused benefits because you have used the redundancy payment on non-essential commitments. @Kingie, yes you can rent out your privately owned property to tenants who will be in receipt of housing benefit. If I own a property can I rent it to family that will need to claim for housing benefit? My mother needs to move out of her property and I rent mine out. I cannot afford to lose the the revenue that I receive from letting my property.